You’ve been working hard on crafting your C.V. and sent it out to potential employers, but you’re just not hearing back. Maybe it’s time to rethink your approach, we have some handy tips to re-invigorate your job search and refine your strategy. Refining What “Must Have’s” vs “Would Like” in a job. Just like the pot of Gold at the end of the rainbow, there is no perfect job. Every job will come with its own benefits and challenges. The key is understanding that things you are willing to compromise on. If you’ve been searching for a while and just not getting the results you want then this is an ideal time to sit down and really evaluate what is important to you. More often than not these will relate to Location, salary and company culture. Remember it’s ok to have things that are you won’t compromise on, but you must also be open to reconsidering some of your “would like” list if an otherwise great opportunity presents itself to you. When applying for jobs do you often see a particular skill or requirement on the job spec that you don’t have, or need additional training in? Rather than trying to work around this in interviews, take the opportunity to get some additional training to learn it. Many colleges offer night courses or alternatively there is a wealth of online courses with accredited certification in a range of specialties. Remember, it’s always better to have the skill even if you feel confident you could land the role without it. You have to get to the interview first, and if you haven’t ticked all the boxes for them you won’t have the opportunity to show your suitability to them in an interview. 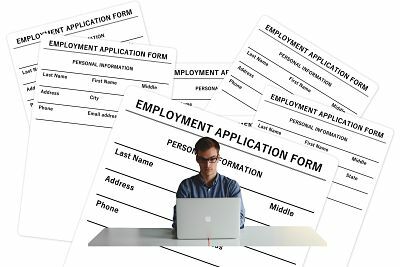 You may have the same C.V. that you have been sending out with minor tweaks to personalise it for the different roles you are applying for…but when was the last time you really read over it. Read through it thoroughly. You may find that with fresh eyes you’ll see the odd mistake or even areas that could be strengthened on the cv. If you had someone that could read over it and give constructive feedback all the better. Sometimes when focussing on something you can lose the ability to see the wood for the trees. Remember - Be objective. The earlier in your job search process the better it is to clean up your social profiles. Remember Google will take a while to implement the changes to your profiles in the Google Search Engine. Ensure any compromising images or written opinions are removed, and if needs be request that any image tags or messages tagged with your name on it are removed also. You can read more on this via our post: Does Your Online Presence Make The Grade? Searching for a new job can be stressful sometimes all you need is a break from the stress of job searching to give yourself some clarity. If you can, give yourself a week or two off. You’ll be surprised how your outlook can change. Sometime a little distance is a good thing. Have you read our blog on Calming Pre-Interview Nerves?